Is your mouth watering yet? It is almost time for the annual Lobster Fest in Blue Jay. 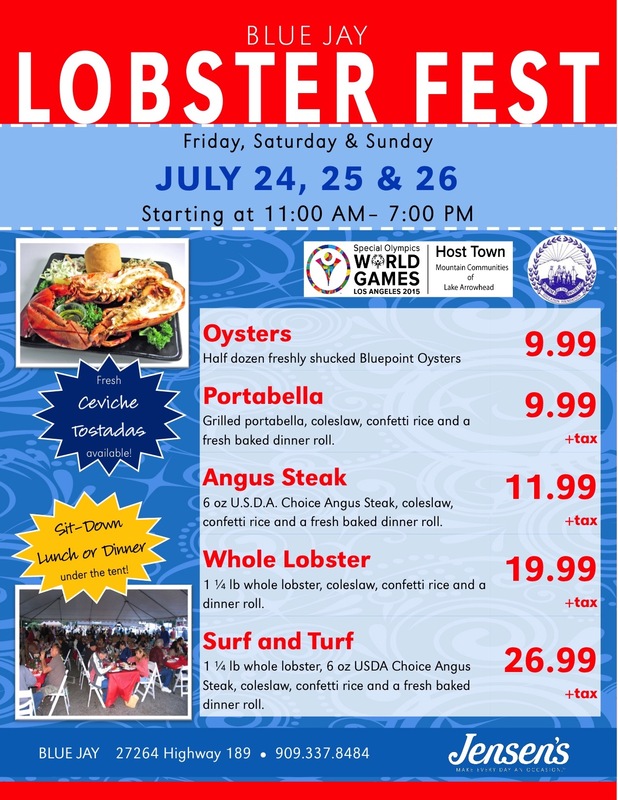 As in usual Jensens fashion the Lobster Fest will be held in the parking lot from 11:00-7:00 on July 24-26, 2015. Take a look at their menu below and if it all looks to good to be true, remember you have 3 days to stuff your face with some Surf and Turf! Enjoy and remember to wear your bib! I missed it this year please let me know when the next one happens ! !